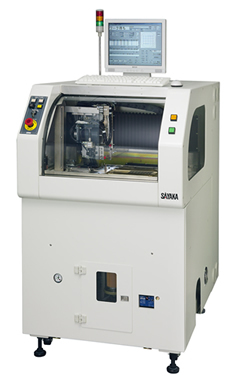 【SAYAKA】SAM-CT23NJ | Products （PCB Splitter Robot ）| MASS CO., LTD.
・High Speed Cutting is realized by maximizing 3 Axes Control and those moving speed. 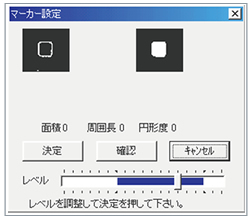 ・Image Processing Function is installed. Simple Teaching can be done with PC screen. 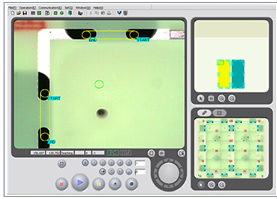 ・ Positioning compensation done by Image Processing further increases the cutting accuracy. 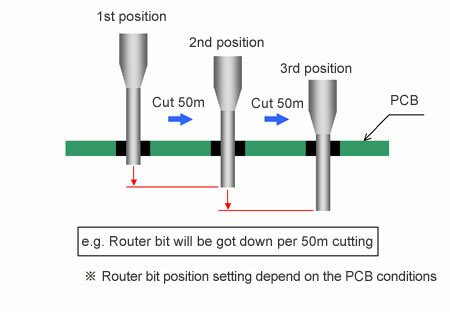 ・ Router bit depth changeover function lengthen router bit life-span. 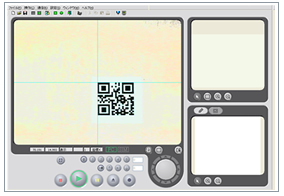 ・Camera can read QR code(2 dimension code) auto select cutting program.